Tired of using custom banners that allow sunlight to stream through your business's window? By using perforated window signs that are made with a special film, that issue can easily be resolved. Similar to having tinted windows on a car, passers-by will be able to read these signs without distractions because light sources are only able to bounce back in one direction. Each perforated window sign can be customized to promote an upcoming event. The one-time use, durable product allows curious onlookers to read the sign from one side without distracting customers who may be looking through the other side. 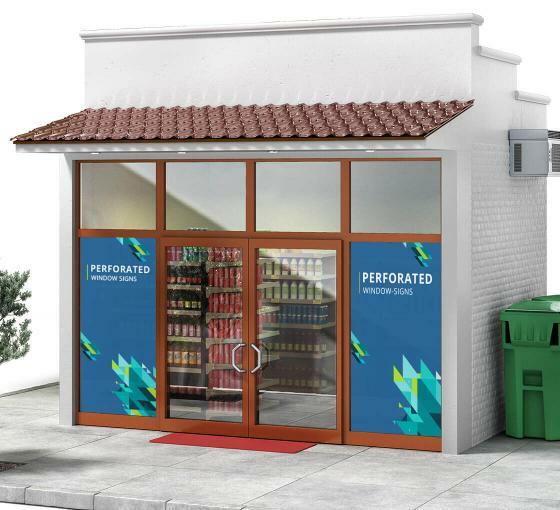 Instead of strangers assuming that an individual is staring at them, the perforated window decals will serve as a barrier for both parties, while still promoting your business. Using perforated window signs is a good way to deflect sunlight while highlighting new promotions or advertising. To get the most out of the window signage, use lighter colors to reflect the sun's rays back into the sky this will enhance how vibrant the banner truly is. Concerned about putting up a perforated window sign? Each display is equipped with a pre-glued adhesive back, allowing for easy peel-and-stick application during the installation process. You'll be able to guide the sign slowly, reducing the likelihood of installation mistakes. We guarantee that our clients will receive the best quality signs because we also offer free professional designs. 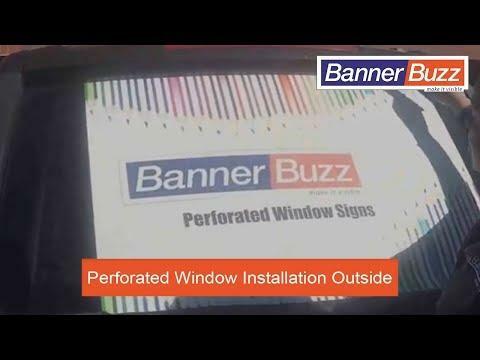 On top of that, BannerBuzz offers the best prices to ensure that anyone can grab affordable banners and perforated window signs for their own needs. 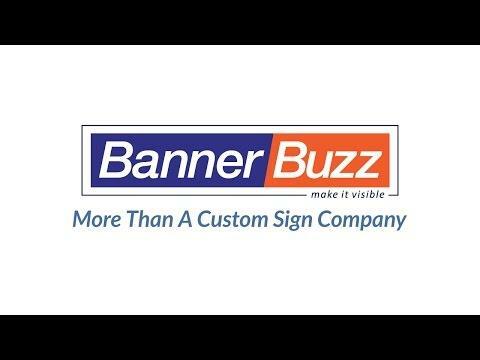 BannerBuzz has all the tools a company needs to stand out.